Make your cocktail party one they’ll be talking about for weeks! 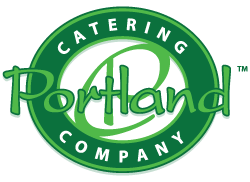 Portland Catering Company tailors each party menu to your guests. We’ll discuss the personality of your group, then we’ll create a selection of hors d’oeuvres that goes beyond the typical stuffed mushroom. Whether you want light and refreshing or rich and substantial, all of our cocktail party specialties are prepared fresh and served with style. One taste and your guests will be toasting you!